Brand new original Laptop Screw Set. 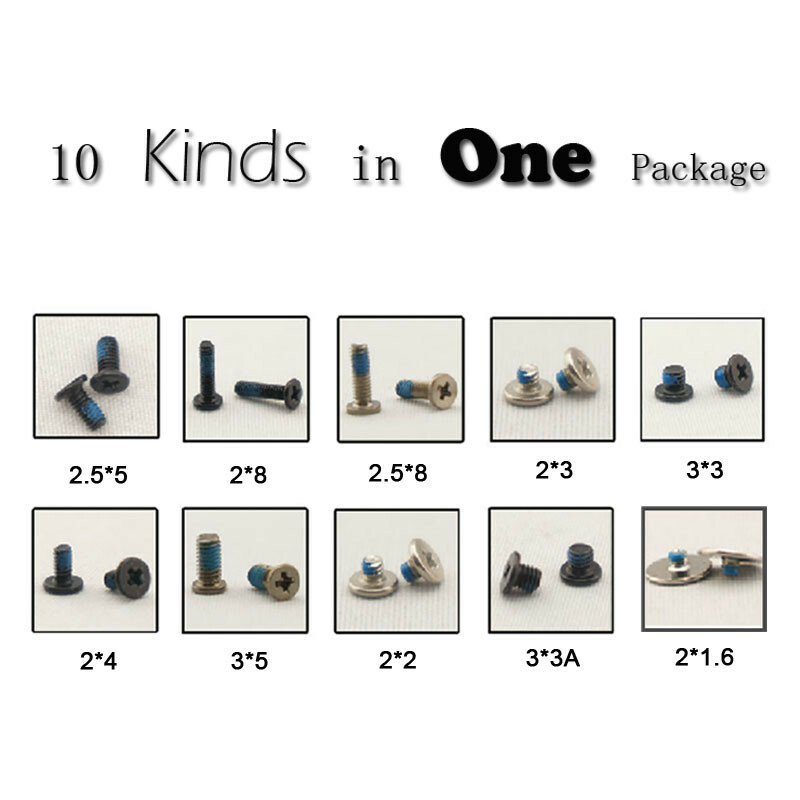 A pocket have 10 kinds，each kind have 20 pieces. Designed for computer set up a package, to avoid the separate purchase of trouble. A total of 200 screw, 10 kinds of size.